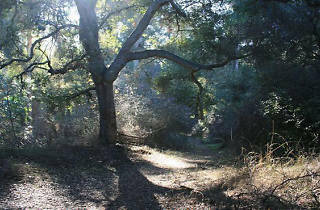 While its 122 acres spans across a swath of the eastern Santa Monica Mountains, most know Fryman Canyon as the Betty B Dearing Cross Mountain Trail, a fire road that starts in a parking lot off Laurel Canyon Boulevard and winds through Wilacre Park, Franklin Canyon and Coldwater Canyon Park. Park in the lot (for free! ), then start the three mile loop that begins with a steep incline before leveling out to give hikers a breathtaking view of the valley below them. Sporadic benches offer a place to rest, while secondary trails branch off of the fire road along the loop, leading you to hidden look out points and even an outdoor theater. 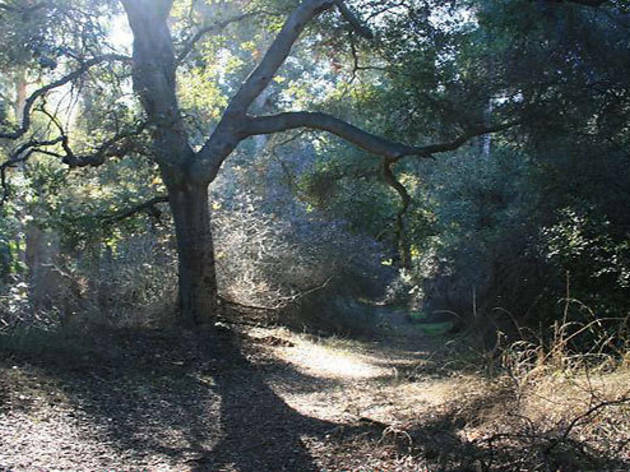 Fryman Canyon is the Valley's answer to Runyon, but without the crowds, the terrible parking or the lingering smell of dog urine. I do this hike at least a couple times a week, and never get tired of the views into the Valley (especially early in the morning when the sun is just coming up). The parking lot is free but fills up quickly, though you can always find space to park in the surrounding neighborhoods or along Laurel Canyon. I usually stick to the fire path, but there are a dozen trails that crisscross the mountain, so it's easy to have a new experience each time.